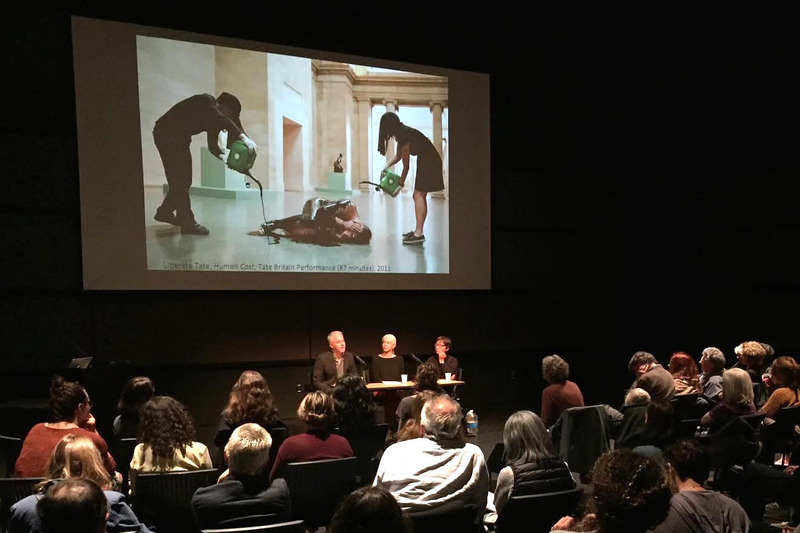 T.J. Demos, Anna Tsing, and Jennifer González will be in conversation to launch UCSC History of Art and Visual Culture Professor Demos' new book: Against the Anthropocene: Visual Culture and Environment Today. Addressing the current upswing of humanities-based, scientific and environmental arts and attention in relation to the recent proposition that we have entered a new human-driven epoch called the Anthropocene, this new book by cultural critic and art historian T.J. Demos presents a critical overview of that thesis, and its limitations in conceptualisation and in practice. Looking at multiple examples of visual culture — including popular science websites, remote sensing and SatNav imagery, photographic documentation, eco-activist mobilizations, and experimental art projects — the book argues that the Anthropocene terminology works ideologically in support of neoliberalism’s financialization of nature, anthropocentrism’s political economy, and the endorsement of geoengineering as the preferred — but likely disastrous — method of addressing climate change, constituting further modes of environmental violence. To democratise decisions about the world’s near future, Demos proposes that we urgently need to subject the Anthropocene thesis to critical scrutiny and develop creative alternatives in our precarious present — which is the ultimate goal of Against the Anthropocene.